Product prices and availability are accurate as of 2019-04-07 19:10:53 EDT and are subject to change. Any price and availability information displayed on http://www.amazon.com/ at the time of purchase will apply to the purchase of this product. 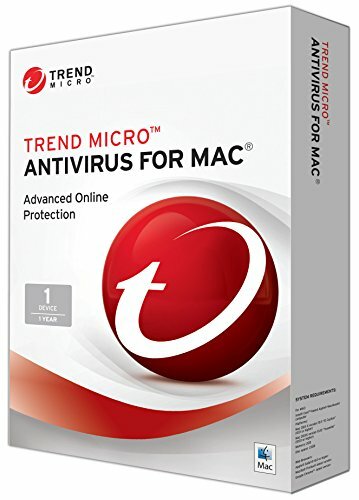 Trend Micro Antivirus for Mac provides online privacy and protection so you can enjoy your digital life safely. It shields you from Internet threats, dangerous websites, and phishing that can lead to identity theft. It also helps you guard your privacy on social networks like Facebook, Google+, Twitter, and LinkedIn.